After a valiant battle with lung cancer, Kay passed away peacefully at her home in Rochester, WA on the morning of March 2, 2016 with her devoted husband of 23 years, Bruce and her son Paul at her side. She was known for her kindness, generosity and charity work. 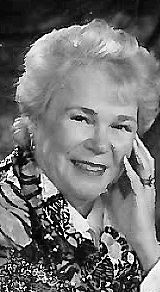 Kay was born Margaret Kay Mielke on April 12, 1939 in Beloit, Wisconsin. She became a legal secretary to her first husband, Ed Grutzner, with whom she had three children (Kurt, Amy and Paul). She was devoted to civic engagement with the Junior Women’s Club, Project Concern, Wisconsin Regional Planning Committee and she also served as the first woman elected to the Beloit City Council. Kay continued her volunteer work after relocating to the Pacific Northwest in 1986. Kay served NAIFA-Washington and her local association in many capacities including Advocacy and LILI. She will be greatly missed. A Celebration of Life will be held Saturday, March 12, 2016, 2:00 p.m. at the Masonic Lodge, 123 West Main St., Chehalis, WA. In lieu of flowers, contributions can be made in her name to the Tenino, WA Lions Club. Kay and I took LILI together, so we shared many carpools over that year. She would always tell me how proud she was of her son who happened to live in our neighborhood. I also have very fond memories of the many National and State conventions. She wouldn’t miss them for the world. Such a great lady.